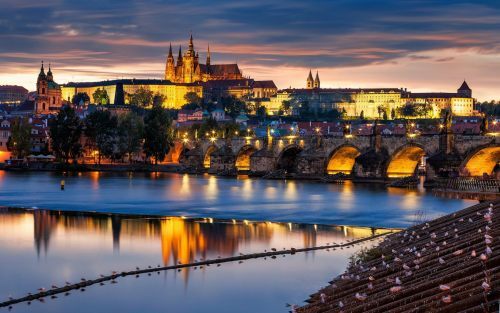 Condor Airlines just dropped the price of some of their May flights from Vancouver to Prague, Czech Republic down to $699 CAD roundtrip including taxes. This is 25% below the typical best price for a roundtrip flight between Vancouver and the Czech Republic. 1. Go to Condor.com and search for a flight. You will probably want to change the Currency to $CAD before you hit the Search button. returning on May 30 is actually even a bit cheaper ($669 CAD roundtrip). vancouver, yvr, flight deals, eastern europe, europe, central europe, prague, czech republic, prg and condor airlines. One Response to "Vancouver to Prague, Czech Republic - $699 CAD roundtrip including taxes"
Thanks very much for letting me know this one! !